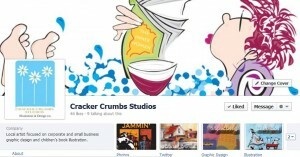 In early 2012 Facebook introduced the Facebook Timeline layout for business pages. 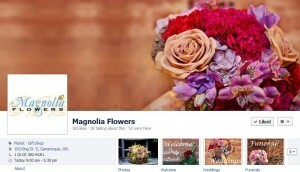 This new layout allowed business’ the ability to create and maintain a visual image on Facebook that was consistent with their corporate branding policies and procedures. As small business owners, therefore, it is important to take advantage of this opportunity to create and maintain a marketing presence on Facebook that is consistent with your company’s brand. 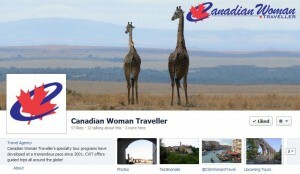 Here is an example of a great cover photo. The profile picture is the small square image that will be used whenever your page creates posts, or comments on posts. It is important, therefore, to use an image that represents your business. In many cases this image will a business’ corporate logo. However, in professional industries like financial planning and real estate where individuals are the face of their business, many individuals choose to use their professional head shot. the outward facing image can be customized. These three quick tips will help your business develop a consistent brand image! Well, well, well. I am back from a vacation from PEI (for those of you who haven’t been, you must go)! I have some fresh blog ideas and new thoughts and perspectives on social media. While on vacation I managed to book a number of speaking engagements, and update my Facebook fans with teaser photos of the Prince Edward Island National Park beach. These photos (one in particular) garnered SO MUCH attention (i.e. likes and comments). This brings me back to an earlier post about creating a voice for your social media. People (aka your clients) “like” your page because they are interested in your business, but on another level they want to connect with YOU. Yes you. Humans are constantly looking for ways in which to connect with one another and feel a part of something bigger. Therefore it is so important to allow your Facebook fans the opportunity to see the human side to your business. Warning – I am not suggesting that you post photos of your long-weekend backyard barbeque every Monday morning. This human-side to your business may be personal opinions on industry topics, your blog posts, or photos from events that you attend. That personal touch allows Facebook fans and Twitter followers something to grasp onto and comment upon. Remember that people do business with people. Just a thought for the day! How many times have you logged into Facebook and said, “Why is there so much junk?” “How do they have so much time to be on Facebook?” In this blog I will address one of the major complaints from people when using Facebook. Problem: The friend who posts 20+ times per day and clogs up your newsfeed. In the top-right-hand corner of the post a small downward arrow will appear. Click it. A pick-list will appear (see image). This action will help to clean up your newsfeed. 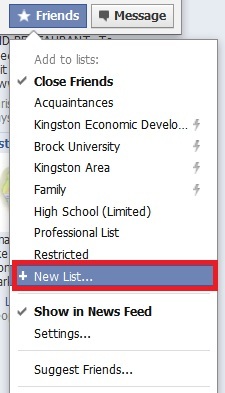 In saying this, setting specific preferences for each Facebook friend will result in the optimal newsfeed. Note: This will take a small time investment, but it will ensure you are not frustrated in the future! In the last post, we created two types of lists: Personal and Professional. 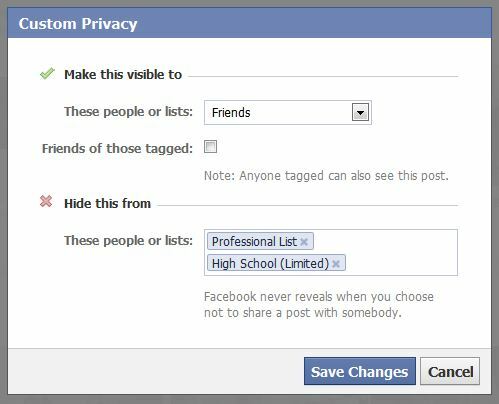 As previously mentioned, developing lists allows you to determine “who sees what information” on your Facebook personal profile, including photos. These lists also allow users to specify what list sees what post. For example my “Professional” list only sees posts that are professional in nature, whereas my “Personal” lists sees all my posts. Here’s how to do it! In the right-hand corner (next to post), will be either a silhouette icon, or a cog icon. Click on the little arrow. Click “Custom,” which is the cog icon. This will ensure that the post you create will only be visible to your friends, and not work associates. Again, this is a great way to keep your personal life separate from your professional life! The other day one of my clients asked me about Facebook etiquette with respect to Facebook friends. While people prefer to connect with professional contacts via LinkedIn, which is designed specifically for professional networking, many people have thrown caution to the wind and begun to “friend” work associates and professional contacts. 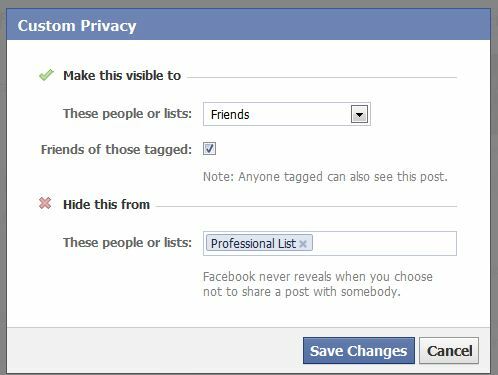 Realizing that people don’t want their family vacation photos readily available to their work associates, Facebook has developed “Lists,” which allow users to define what components of a profile a Facebook friend can view. 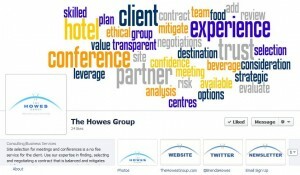 I have developed two lists on my personal profile: Personal and Professional. Facebook friends assigned to my Personal list have access to all my updates, and photo albums, while Facebook friends assigned to my Professional list have limite d access to updates (only ones I deem acceptable) and zero access to my photo albums. It’s a great way to keep your professional and personal lives separate, and ensure your personal privacy! That friend will be automatically added to your new list. Let’s add customized settings for that list! Navigate to your personal photo album. Under “Hide this from” begin typing your new list name. Select it from the pick-list. You have created a list, and hid a specific photo album from people designated to that list.